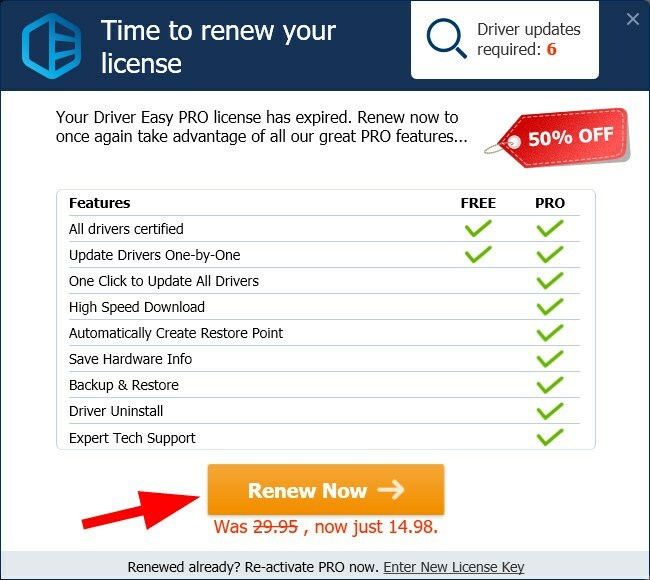 If your license of Driver Easy Pro has expired, a window will pop up and tell you you should renew your license before you can continue using the Pro version. To renew your license, click the Renew Now button. You’ll get a 50% discount for your renewal.